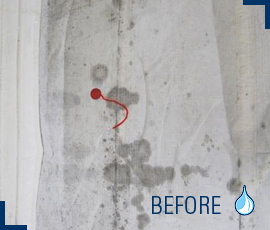 We know we have a great product. 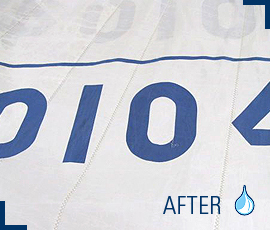 There's no better way of showing it off than having the washed sails back in your hands. 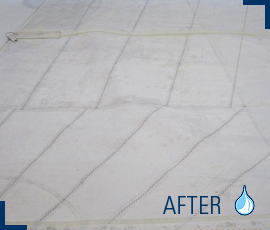 The second best way is to show you our “before and after” pictures. 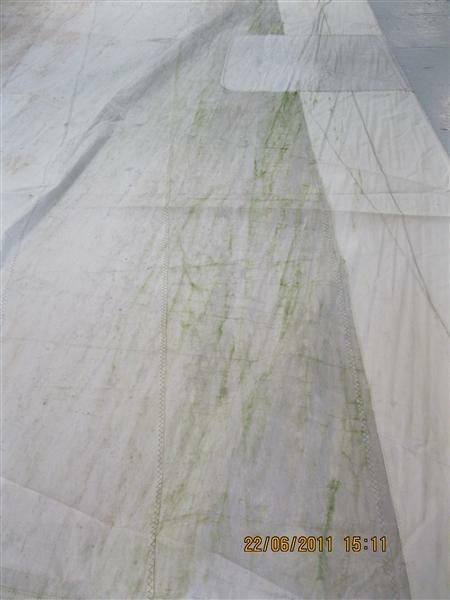 A common problem with furling mains: leave it wet, rolled inside the boom and you end up with a heavily mildewed sail like this. 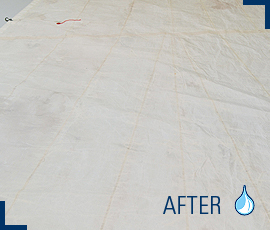 Sailmakers would advise you to never store wet sails - but the convenience of a furling main system makes this impossible. 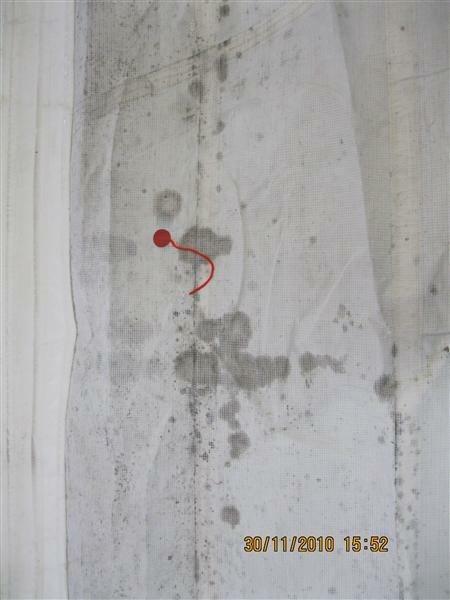 On this radial cut sail, mildew started in the seams and grew from there, spreading like wild fire. 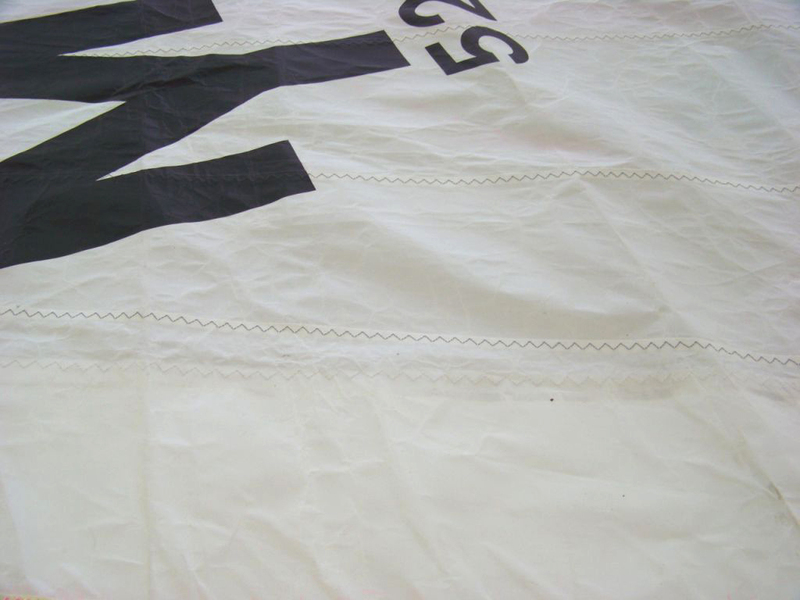 The fibers in the cloth actually promoted this by “wicking” moisture throughout the sail. 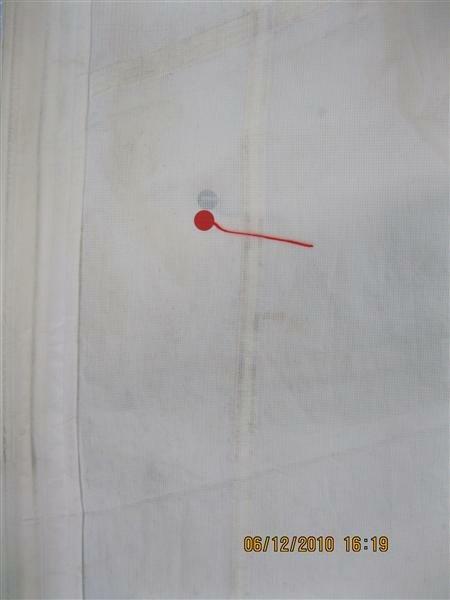 Furling genoas made sail handling and trimming much easier. 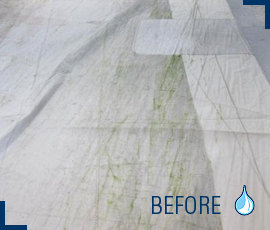 While furled on the head stay for an extended time, green algae seeped down from the UV cover. 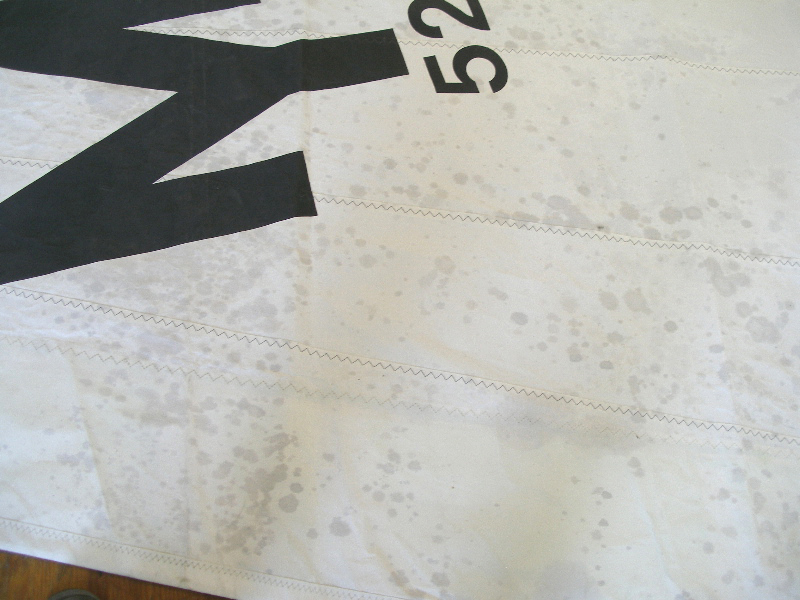 Mildew is not only a problem on RF sails. 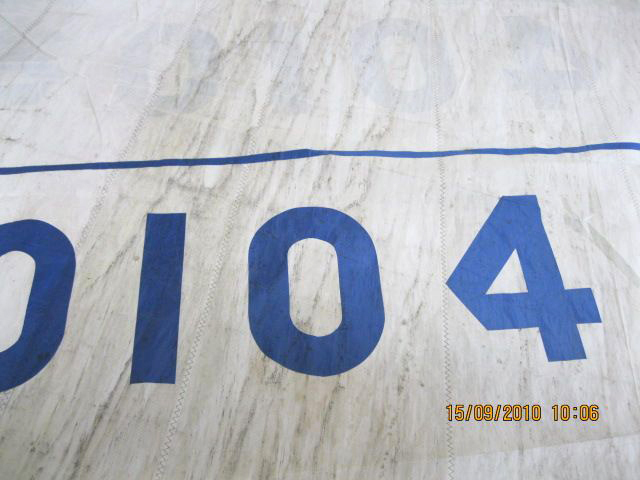 This hanked-on jib was stored wet onboard for some time. 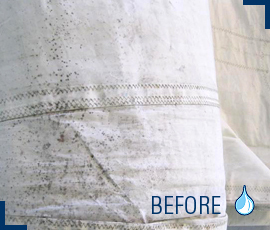 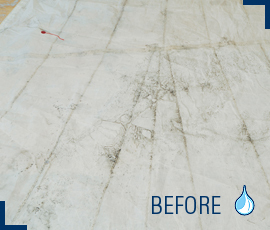 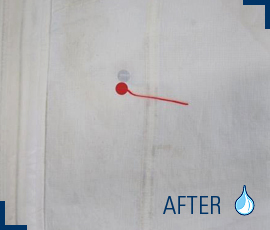 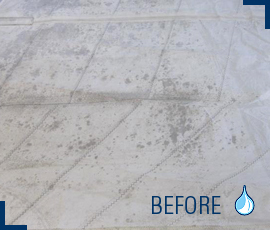 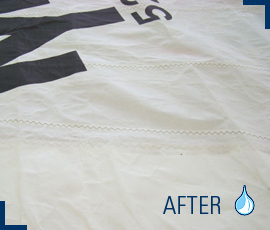 Tough mildew and stains are a challenge for any washing system - but Vacuwash® returned this sail to its original good looks. 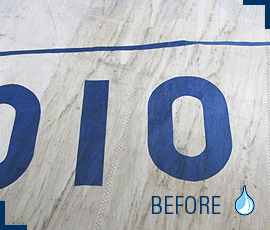 Boat owners spend hours making their boats look good - polishing the stainless steel, varnishing the rails and buffing the fiberglass. 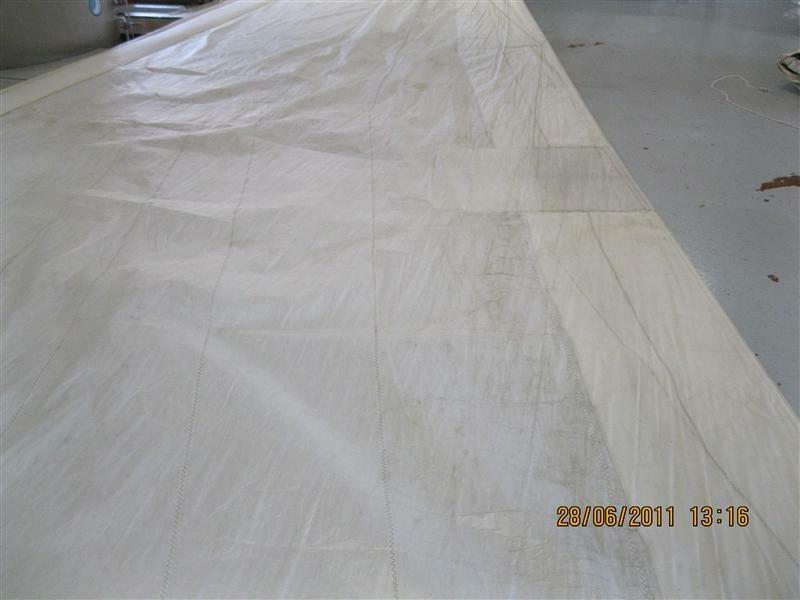 Why do all that work if when the sails unroll, they look like this? 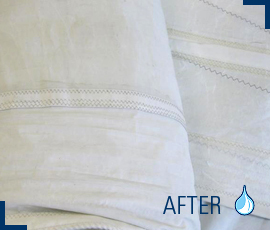 Modern materials offer great advantages when it comes to weight and holding shape. 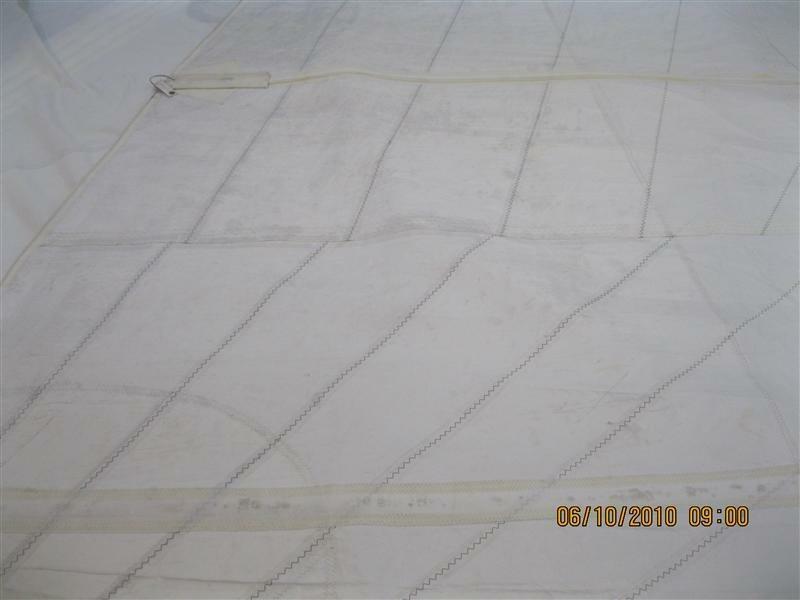 However, some things about their construction may enable mildew growth. 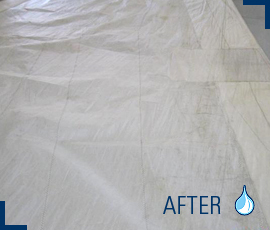 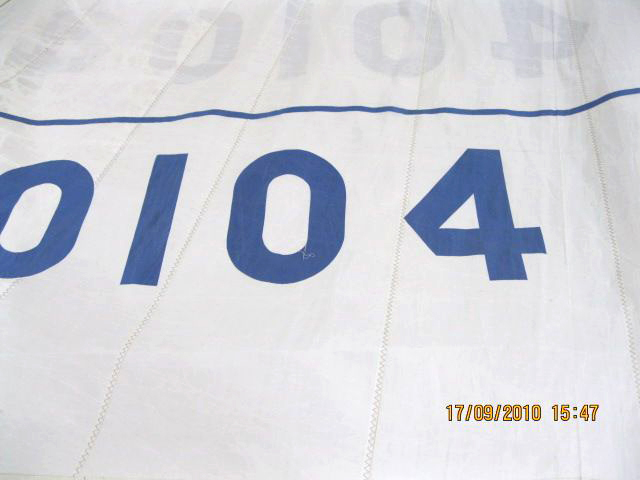 Whether it’s the glue in the laminate or moisture trapped between mylar films, even well cared for sails can develop mildew problems. 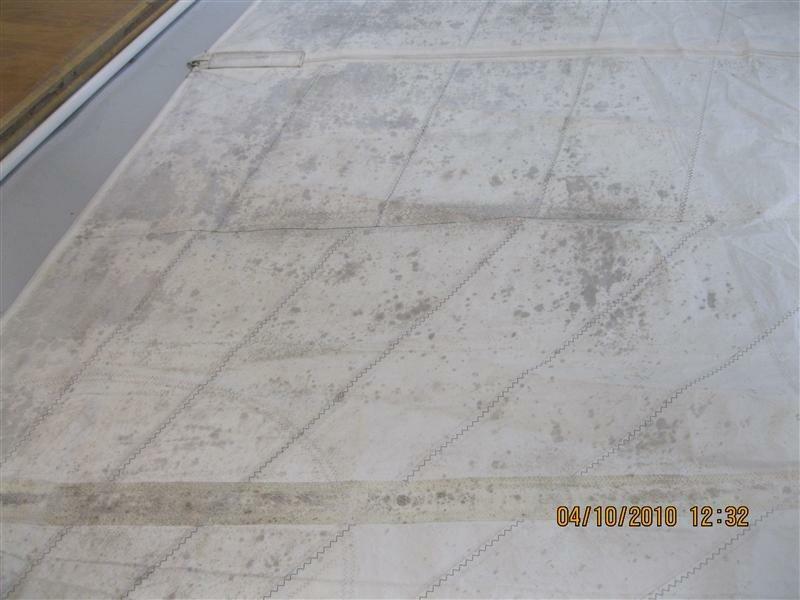 This main was stored for the winter next to some damp lines, when it was pulled out in the Spring, more than half was covered with black mildew spots. 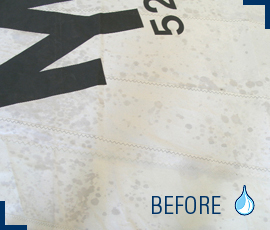 Luckily, we were able to quickly clean and return it so the customer did not miss that first sail of the season.